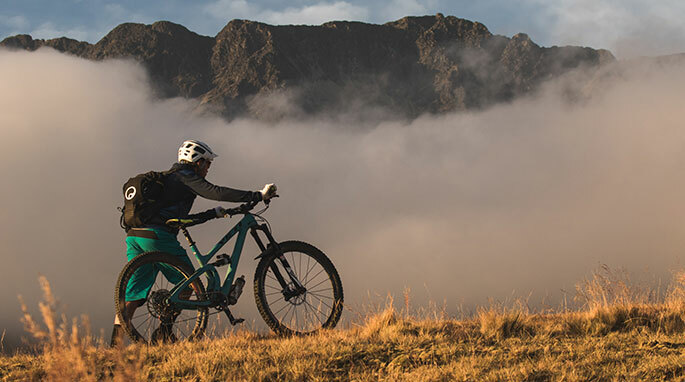 Bikepacking is currently a very popular trend—whether it be a weekend trip with riding buddies or a multi-day tour in the mountains. But what about a 9-day trip? 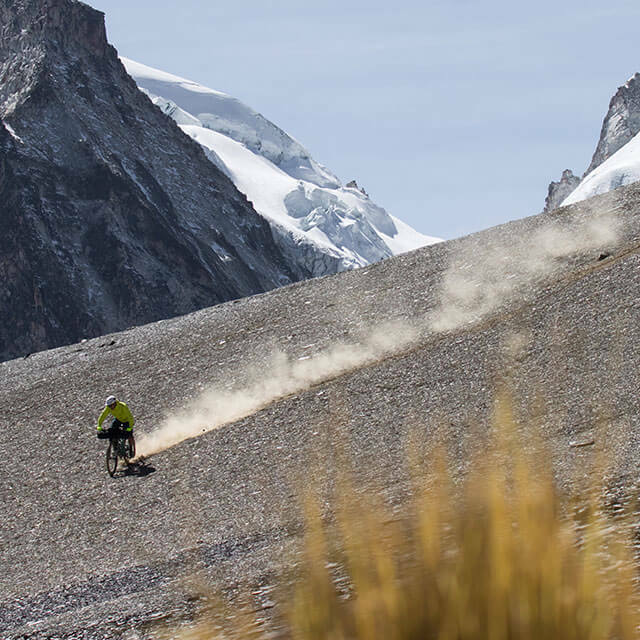 A trip that covers over 160km and climbs 50,000m at extreme altitude across the Bolivian Andes? 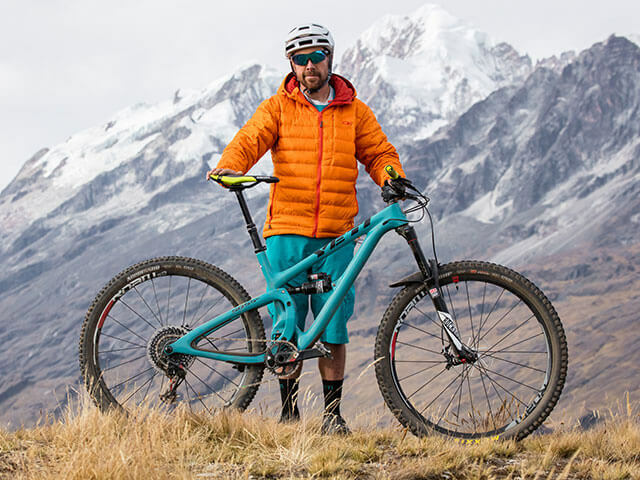 What the four Ergon Factory Riders from the Yeti were up to was completely different than anything else they have experienced. 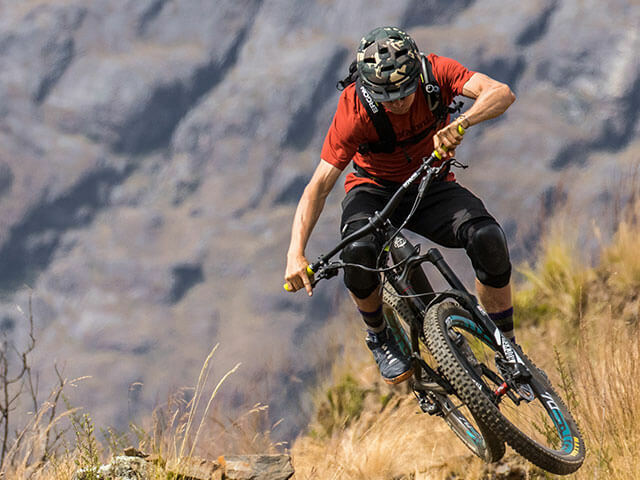 MTB pro Nate Hills and his three friends, Joey Schusler, Carston Oliver and Thomas Woodson didn’t give much thought to it when they were crawling into their tents each night. The opposite thoughts and feelings were the case. 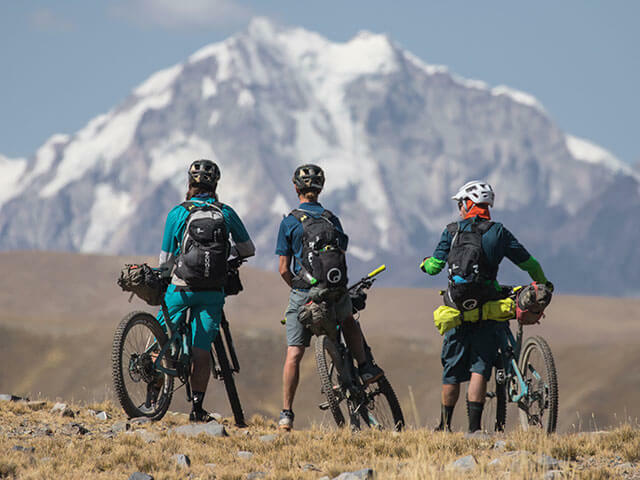 They seemed totally unphased by the madness of the adventure in which they were about to undertake, bikepacking on narrow llama trails at altitudes, which soared above 6000m. 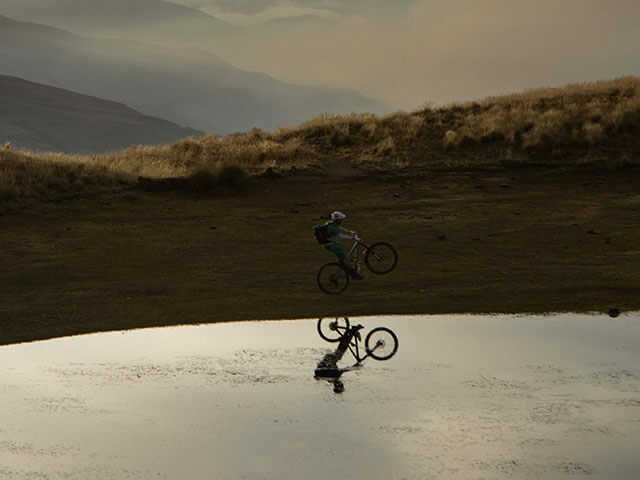 The Cordillera Real in the Bolivian Andes was the chosen goal. 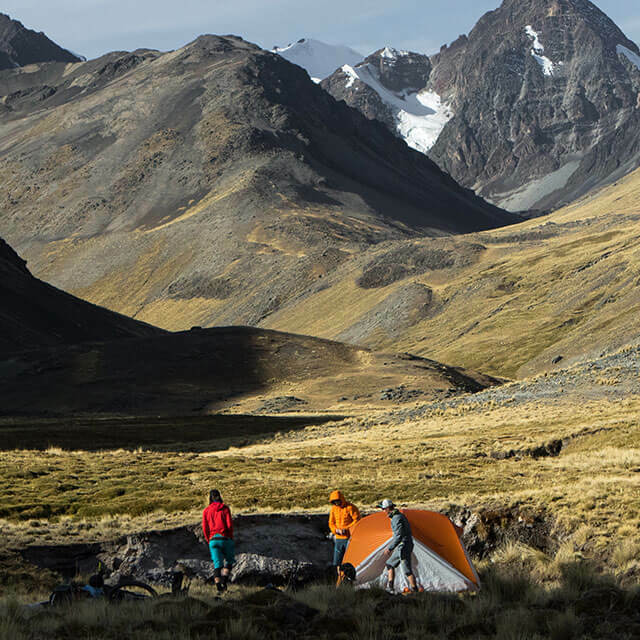 Located in the South American Andes within a densely glaciated area, more than one hundred peaks clawed their way to the sky at a height between 5000m and 6400m. 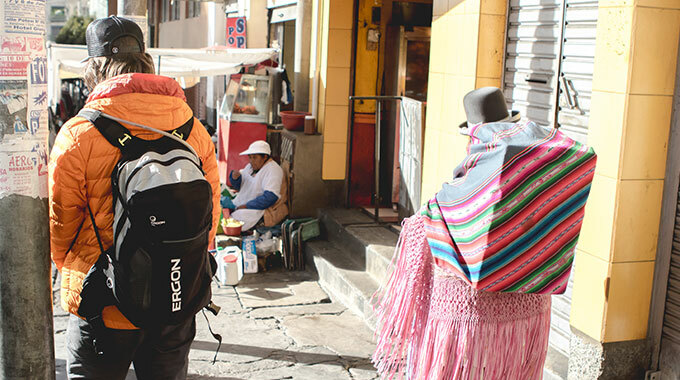 The team flew into the capitol city of La Paz, which sits at a gasping elevation of 3620m. 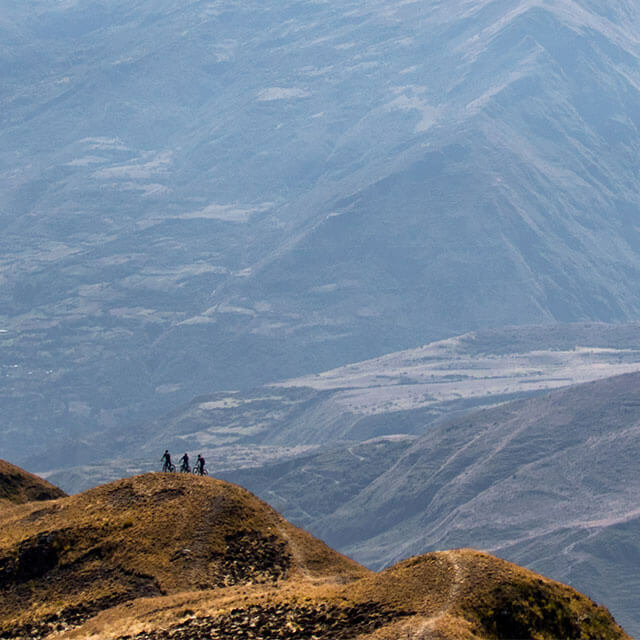 The Cordillera Real is a high mountain range located in the South American Andes. It didn’t take long until they were north of where their journey would begin. 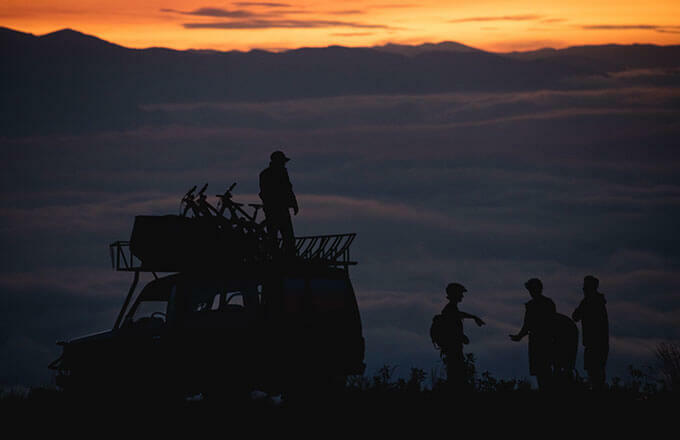 Joey planned on crossing the mountain range within 9-days by using mostly a high-Alpine road which is remotely located high above villages, farmers, and any type of civilization or services. The higher the altimeter climbed, the further the team got from supplies and the thicker layer clothing became common wear. 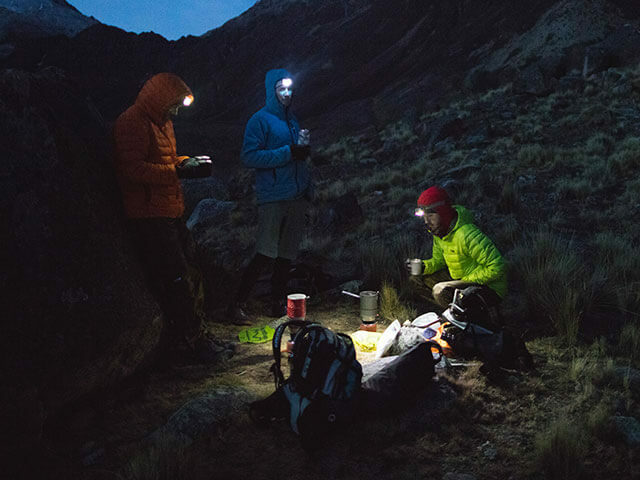 They climbed most of the days more than 5,000m in altitude under changing weather conditions. 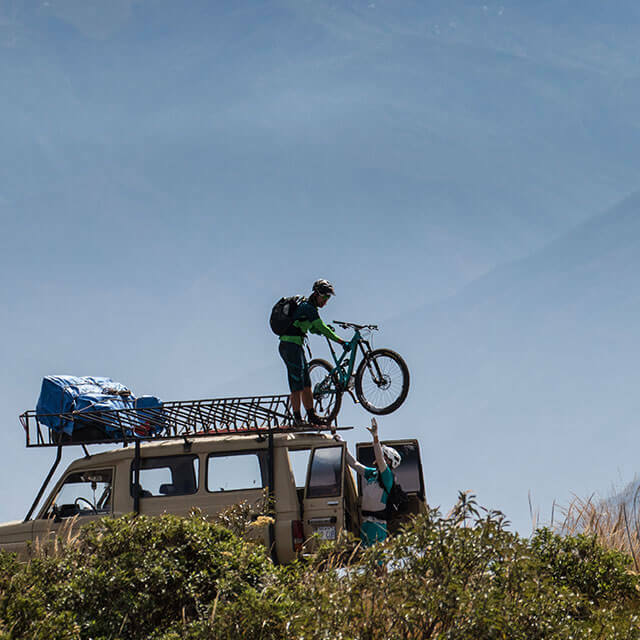 Whenever the bikepackers reached the peaks of these majestic mountains in thin and quiet air, they began to daydream about the perfect spot for their tents in the valley. If they were lucky, they would reach the valley below just in time for dinner and before the sun disappears into this inhospitable and rugged area. But things did not always go as planned. 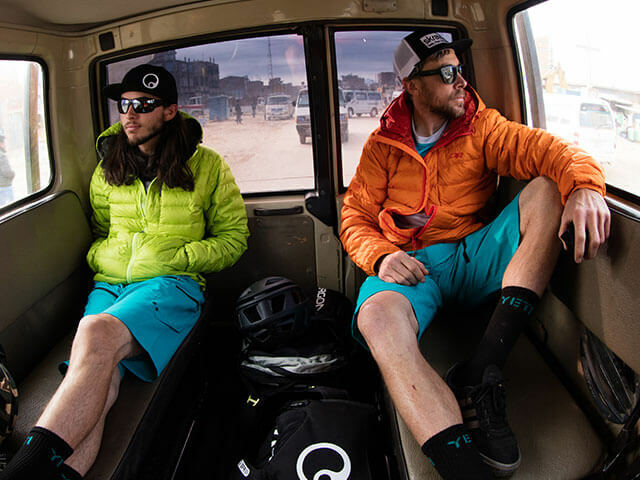 It was the third or fourth day when the 4 bikepackers realized that they could not possibly keep their schedule. They were incapable of crossing several mountain passes during the final 36 hours. Frustration and disappointment spread. It was impossible to reach the next pickup point at their current speed. 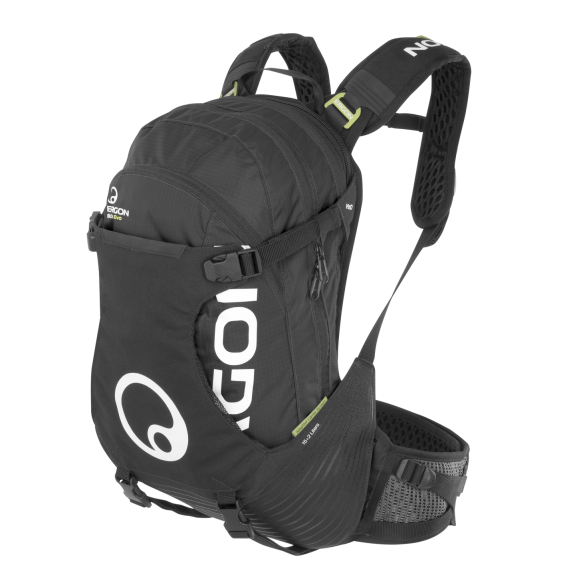 A bikepacker is usually two to three times faster than a hiker in this rough terrain. 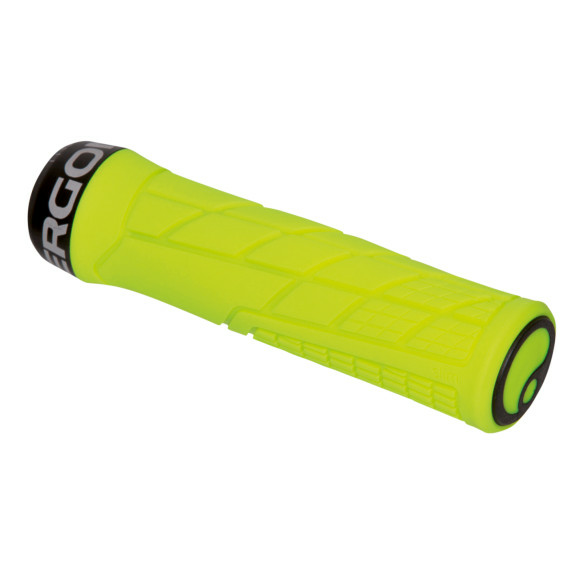 The boys, however, were moving at a speed of “one pass per day,” which is as fast as the trekking route description recommended from an online source. Even worse was the situation of their dwindling food supply. Did they really miscalculate their meals? They packed their bags at the drop-off point where they calculated their amount of needed meals. They didn’t know the exact date or if the food had to last for eight, nine or even more days. Unfortunately, they now have to pay the price for this. They only have a handful of couscous and oats remaining. During their last leg of the adventure they had the remaining soup packet for breakfast. There were no snacks or other energy provisions for in-between-meals. On the seventh day, they reached a region with a colossal lake-glacier panorama—a local had mentioned this section during the route check, but neglected to say that the crossing of the lake bears massive risks. 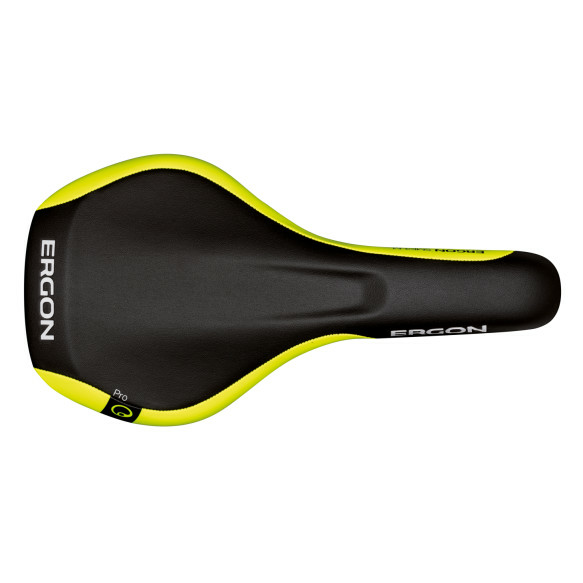 They shouldered their bike, like mountain sheep, one after another in single file across the precipitous snowfield and exposed edge. Following the lake crossing, a narrow trail with loose boulders lead to the next pass—this was only part of the overall goals for the day. The peak of Pico Austria at 5300m, or 17,388 ft above sea level, was the highest point of the trip. The only companion in this godforsaken region was a large condor, who majestically circled the peak when they approached the ridge. A short traverse opened up a view in which they will never forget and rewarded them for all the exertions on their trip: a kilometer-long view over the Altiplano across to Lake Titicaca, the highest and largest mountain lake in the world which connects Bolivia with Peru. 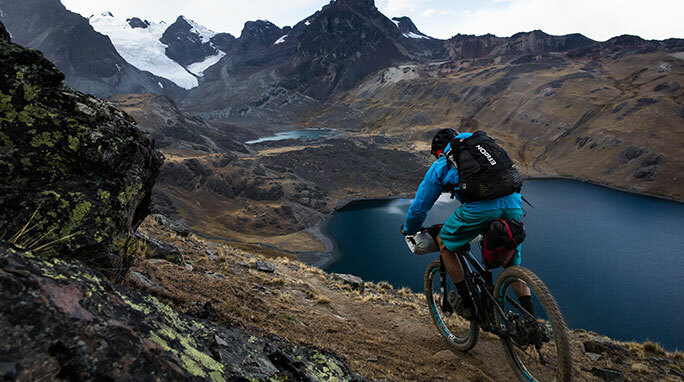 The four mountain bikers probably didn’t even know beforehand that this lake even existed on their route, let alone that the lake is the largest in South America and with a height of more than 3800 meters the highest navigable lake on the planet. All of a sudden, everybody seemed satisfied and relaxed. They all felt that nothing could go wrong anymore. They still had two passes left on the eighth day and also the last rations of oats. Hunger, exhaustion, pain—all that didn’t matter anymore and made room for the swelling feeling of fulfillment in the chest. The mood increased with every passing meter. They have survived. Even better, they were proud that they experienced this together and it will connect them for a lifetime. Finally, the four friends sit at their agreed meeting point in the grass, with aching bellies craving food. They also crave an extensive afternoon nap. They are relieved to know that their shuttle driver, Manchito, will pick them up the next day with his vehicle and his poncho full with avocados and bread.